Nicholas pretty much your average teenager (15 years old) until he had an accident that left him close to death, but with no chance of surviving long after. 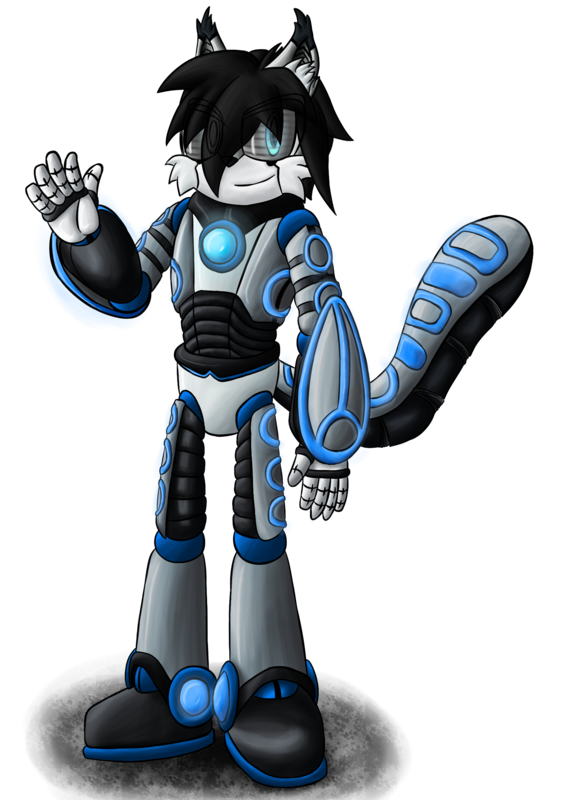 However his father quickly got to work on saving him, (Sort of), by extracting his memories and his soul and then started building a robot body that can be run on and contain Nicholas' soul. His father eventually succeeded but within mere minutes the military came in and took him and had his memories erased (Their still their, in a extremely secure back-up drive.) and reprogrammed him as a military robot. During the weeks that followed he would start acting more sentient and have dreams of his old memories, till the point where he broke out to unlock his memories.